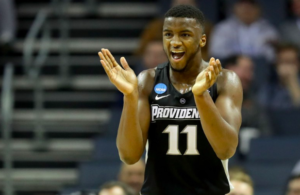 Providence trailed Holy Cross by nine points with with under 17 minutes remaining in the second half, but two critical adjustments by Ed Cooley helped turn the deficit into a nine point victory on Tuesday night. Cooley knows he has to shorten what had been a lengthy rotation in the first two games of the 2018-19 season. 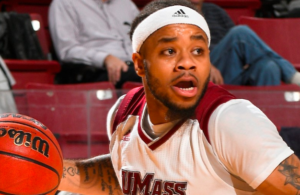 The challenge in the first half against Holy Cross was finding players who were differentiating themselves. 11 Friars played in the opening half tonight. With the exception of maybe Kalif Young (8 rebounds), no one particularly stood out heading into the locker room. Providence would have trailed by seven points at the break had Maliek White not knocked down an important 3-pointer in the closing seconds. White was on the floor at the time because David Duke picked up his third personal foul. Makai Ashton-Langford initially spelled Duke after foul three, but Cooley went with White soon after and that late 3 seemed to spark White. The junior guard out of Virginia hadn’t been assertive against Siena or Wichita State. All eight of his field goal attempts had been from beyond the 3-point arc heading into this one, and he’d made just one of those. He passed up good looks against both clubs — looks that the coaching staff most likely wanted him to let fly. 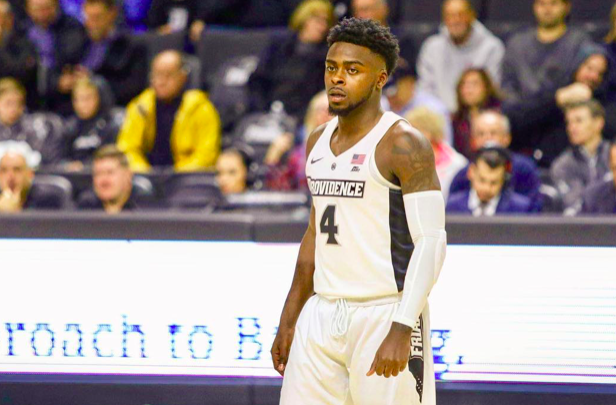 White was critical in Providence’s second half surge against Holy Cross, however. He had three assists, scored on a pair of drives, and was rewarded with 17 second half minutes. Unlike last week’s games, White was in attack mode — six of his eight shots from the field came from inside the 3-point line. Cooley shortened his rotation in the second half, relying on a more veteran and defensive-focused unit. Duke, White, Isaiah Jackson, Alpha Diallo, and Nate Watson all played 15+ minutes in the second half, as the coaching staff slimmed the rotation down to seven men. Diallo was once again the rock. His 18 point, 10 rebound effort was his third straight double double, while Watson dominated on the interior offensively. Watson made 6-7 from the field in scoring 15 points in 23 minutes. Holy Cross simply had no answer for him inside. Cooley’s other critical adjustment was going to a zone defense. The Friars were repeatedly beat back door for layups in the first half, and in reality this could have very easily been a 10 point game at the break had Holy Cross not consistently missed at the rim. After shooting 45% from the field in the first half and 43% from 3, Holy Cross made just 27% of its shots in the second. Soon after switching to a zone defense Providence went on a 20-2 run to turn the tide in the second half. 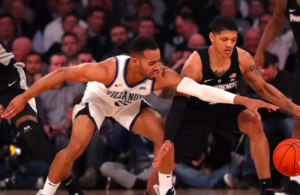 Providence’s length bothered Holy Cross, and the Friars came up with seven second half steals. PC scored 42 points in the paint and finished with 23 bench points.